Please help me welcome today's special guest blogger, Cindy Green. Cindy is an author who writes in several genres, so she definitely has something for everyone. I've asked Cindy a few questions and I think you'll enjoy reading her answers. Take it away, Cindy! Q: Welcome to The World According to Liz. First, can you tell us a little about you and your books? Hi Liz! Well, I was born in California and moved almost four years ago to North Carolina. I’ve been married for 14 years and have two boys. Previous to my writing career, I was a middle school teacher. I taught just about every subject with degrees in both history and education. I am now a stay at home mom and a homeschooler. 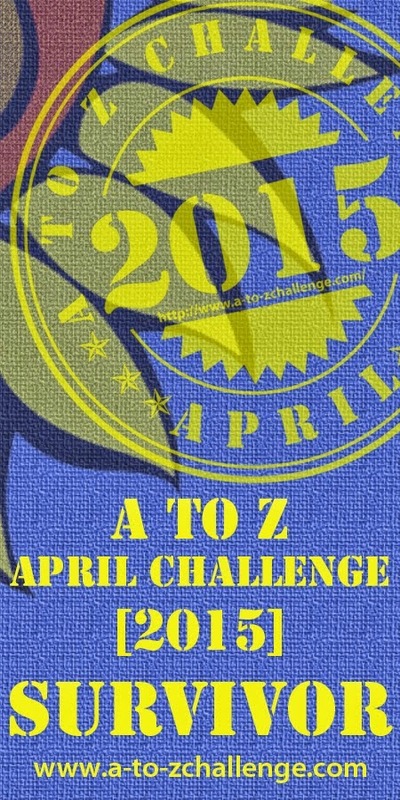 I write in several genres: Contemporary, Inspirational, Romantic Suspense, Fantasy and Historical. I love to read them—love to write them. To date I have ten book titles of varying lengths from three different publishers. In my spare time, (ha) I love reading, photography, scrapbooking, Period Dramas, and spending time with family. My most recent releases have been historicals. I have a steamy little historical western called The Heart Never Lies from Champagne Books. I’m new to this genre and I just had so much fun with it. Long and Short Reviews called it, "An Exceptional Read." And You Gotta Read Reviews gave it a "Need to Read" rating: Cindy K. Green was able to give us human emotion, love, lust, and adventure in a very well written novella. It's hard to imagine that in 28 very short pages The Heart Never Lies had it all. Here is the blurb: When ranch hand Beau Tucker announces his intent to leave the Double C for California, Kit McCauley tells herself, "Good riddance." Unfortunately her heart isn’t quite in agreement with her head. Perhaps she’ll just have one more talk with the handsome cowboy before he disappears out of her life forever. Temperatures rise as their interlude is interrupted by an injured horse thief who shoots at Beau and kidnaps Kit. Will Beau be in time to save her or did the ruffian’s bullet ring true, bringing his young life to an end and forever keeping their revelations unsaid? You can get a copy at Champagne Books and Fictionwise for just $1.00. Read an excerpt on my website: Cindy Green. 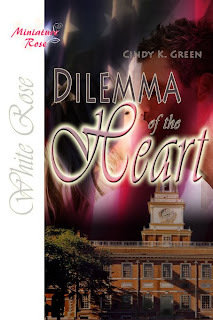 Dilemma of the Heart was my second release this year and it is also a historical. This time it’s a sweet historical taking place in post-Civil War Philadelphia. I loved writing this story. I have a degree in history and have done special research on this time period, so I’d always wanted to write a historical set at this time. Dilemma is the story of loss and making a decision that could affect the rest of your life. It is poignant, moving and yes, I threw in some sass as well. There is a full-length sequel in the works. Cassandra Huddleston has a dilemma. Her heart still resides with her sweetheart, Frederick Adair, reported as killed in action at the close of the Civil War. Now she has a new suitor, Emerson Bryce, powerful, attractive, and dominant; he usually gets what he wants. Cassandra must decide if she can forget the man of her heart and learn to love the man offering her a future. As she struggles with her feelings, Cassandra is faced with the possibility that Frederick’s death might have been greatly exaggerated. If that is true, will Emerson be willing to let her go? It’s available now at The Wild Rose Press. Read an excerpt on my website. I feel as if I’ve always been writing ever since I was a young girl. In fact, I used to write fun little stories for my younger brothers and sisters. (I’m the oldest of five.) I have a folder full of great stories I started throughout my junior high and teen years. In college, I was a history major and so my focus shifted to my non-fiction writing. In fact, I actually won some awards for my historical scholarship. Then I started teaching and there was no time for writing. When we moved to NC and I became a stay at home mom with a baby and a 2nd grader, I decided I needed something more. I started to write again and within the first year, I had a book contract. Not really. I have a loud and busy household, so I have to work through the noise. I have to take whatever moments of time I have to write a little. In a perfect world, I sit at my desk with some inspiring music playing and write for several hours straight. But that doesn’t happen often. When I’m on schedule, I write 2 nights a week without interruption (thanks to my hubby), a few hours on the weekend and whenever I can throughout the day. My mornings are busy with the boys, schooling, and household chores. In the afternoons, I try to get them set up with a project, reading, or a movie and I get a little writing done. North & South by Elizabeth Gaskell (classic) This is favorite of mine. I try to read several classics a year. Without a doubt—Jane Austen. She’s been a favorite since I first read Pride and Prejudice as a twelve year old girl. Through the years I’ve come to appreciate and love her writing. Miss Austen had a special gift, a talent if you will, not just in writing but in knowing people. Think about it. Here is this prim and proper (though some would argue this point) Regency-era woman, unmarried, and coming from the middle of the social pool—and she has this uncanny ability to write the most terrific characters. She wrote characters to hate, laugh at, and fall in love with. Some of the other greats of classic literature also had this remarkable ability—Dickens, for instance, and Shakespeare. Think of their casts of characters that once read, will never be forgotten. My favorite book from Austen is actually Persuasion. This is a second-chance love story, which is my very favorite kind. Throughout the entire book, these two characters are still in love with each other and the tension continues to build and build that they should be together. It is so romantic when the hero, Captain Wentworth, writes a letter to his lady love, Anne Elliot. “I must speak to you by such means as are within my reach. You pierce my soul. I am half agony, half hope. Tell me not that I am too late, that such precious feelings are gone forever.” It just gives me chills every time. I love John and Abigail Adams. First of all, they were just a terrific couple. Both smart and caring for each other and the nation. Their letters to each other over the years are just heartwarming. They truly were in love, and they sacrificed so much for their country. They suffered great separations from each other, but always remained faithful. They were great patriots. Abigail should have been in Congress. Seriously! They were perfectly matched for each other. Abigail was John’s helpmate in so many ways at a time when he (and this nation) really needed one. A great pair and an inspiration to us all. Q: What's your idea of a perfect man? Oh Lord! Does one exist?? LOL! I love a Gamma man. Forget those overbearing Alphas and give me a Gamma. I love a man who can laugh and make me laugh. I love a smart, intelligent man, too. Put those two together and I’m lost. The great thing about a Gamma is that he can be sensitive and strong. He can exhibit the good characteristics of the Alpha and the Beta. I love a thoughtful man. One who surprises me on my birthday. Who brings me flowers for no other reason than "just because." A man who knows I need a break from the kids and sends me off on a girl’s night with my sisters. And honestly, that really is my husband. You gotta love him. Q: What's your image of an ideal date with your perfect man? Dinner at an expensive, dark and quiet restaurant. I love to dress up once in awhile. Then, off to the theater to see a show. Musical theater is my favorite, but I like the ballet, too. Afterward, some dessert and a walk outside with lots of time to talk and relax. Then, back to a bed and breakfast for the night. Q: Can you give us a hint of what story you're working on next? I am working on the sequel to Dilemma of the Heart. It’s called Emancipation of the Heart. I took the antagonist from Dilemma and made him the hero in the sequel. He was more the misunderstood type more than the dastardly villain. Though, he is all Alpha male for sure. This one is set entirely in Philadelphia in 1865 and I had to recreate the whole social set of that era. It really does feel like a Victorian-era novel. Q: And finally, is there anything else you'd like to tell my blog readers? Come by my website: Cindy Green to read more about me and my books. I also blog at Cindy's Musings. Join my newsletter. Not only will you get my news and an opportunity to join into subscriber-only contests, but I send out book recommendations and I have a quarterly Free Read serial story called "Valentine’s Challenge." In fact, if you send me an e-mail right now at newsletters@cindykgreen.com, I will send you all three parts of the story, along with the most recent newsletter. Important free info available from my friend Julian Block. I hope you'll take advantage of sending for his free PDF file of tax info! There's tons of material in there to benefit writers and small business owners. Does dealing with taxes strike terror into your heart--like being faced with calculus, which you never understood, or being asked to run in a marathon? Free help for taxophobes is available from Julian Block, a nationally recognized attorney and member of the American Society of Journalists and Authors. He wrote the chapter on "Taxes and Deductions" for "The ASJA Guide to Freelance Writing" and has been cited as “a leading tax professional” (New York Times), "an accomplished writer on taxes," (Wall Street Journal) and “an authority on tax planning” (Financial Planning Magazine). E-mail julianblock@yahoo.com to request a complimentary PDF file. The file contains newspaper and magazine articles that offer clear, concise, uncomplicated and immediately useful advice on tax strategies. Learn what to do now to sidestep pitfalls and take advantage of frequently missed, perfectly legal opportunities that can save many thousands of dollars. Julian Block is an attorney and syndicated columnist based in Larchmont, NY. He is a member of the New York Financial Writers Association and the American Society of Journalists and Authors. His books include “The Home Seller’s Guide To Tax Savings”; “Year Round Tax Savings”; “Travel And Moving Expenses;” “Tax Tips For Small Businesses: Savvy Ways For Writers, Photographers, Artists And Other Freelancers To Trim Taxes To The Legal Minimum;” and “Marriage And Divorce: Savvy Ways For Persons Marrying, Married Or Divorcing To Trim Their Taxes To The Legal Minimum.” For information about his books, visit www.julianblocktaxexpert.com.